Cryptocurrencies across the board are nursing big losses on Thursday as the global market sell-off hitting traditional assets spreads. All major crypto assets are down on Thursday, with the likes of ethereum and bitcoin cash losing more than 10% of their value. 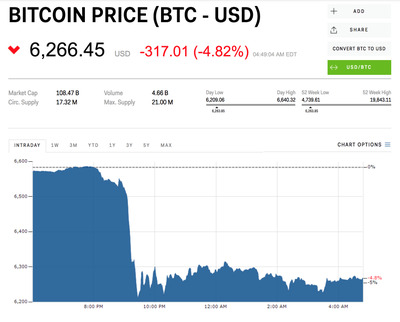 Bitcoin plunged more than 7% overnight, but has now recovered a little, and is trading down roughly 5%. You can follow all the latest cryptocurrency prices at Markets Insider. 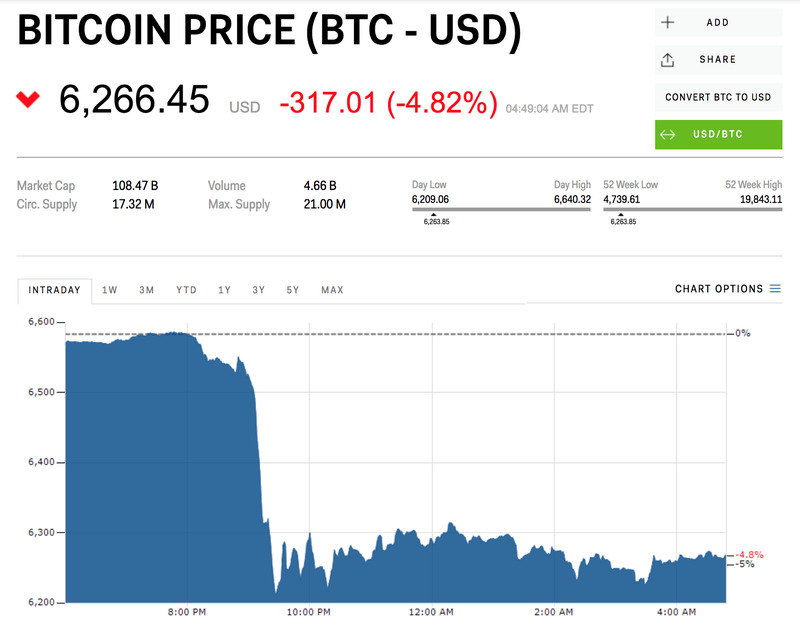 Bitcoin, the benchmark cryptocurrency, dropped suddenly and sharply in Asian trading overnight, losing as much as 7%, before rebounding a little. It is now holding at a loss of around 5% on the day, trading at $US6,266 per coin. Previously, bitcoin and other cryptocurrencies tended to rally during periods of poor performance for traditional assets like stocks, reflecting their status as something of a haven. However, in recent months that has flipped, with cryptocurrencies tending to follow traditional stock markets in their moves.